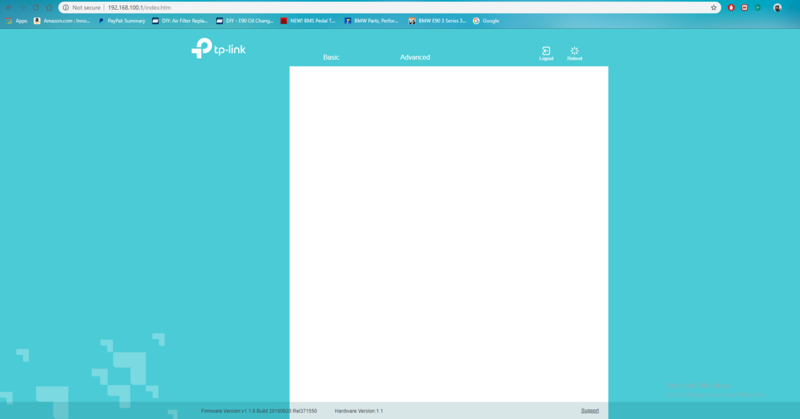 TP-Link SOHO Community > Cable Modem&Routers > TC-7610 web interface not loading correctly? Re:TC-7610 web interface not loading correctly? So the Power light i assume is light solid. If you have a solid gree DS(Downstream) light but have blinking US (upstream) light this typically indicates a service interuption. There are a few things that cann cause the UI not to load properly. Most have to deal with the browser or cookies. Try clearing the brower history and cookies and trying again or try a different browser. If that all checkes out. Contact your ISP and have them look for service or line issues and if possible see if they can push a firmware update to your modem. If they say that they can't because its not their modem. ask for a level 2 tech Modem/gateways can only be updated by the ISP on a cable service provider's network, most level one techs don't know this.